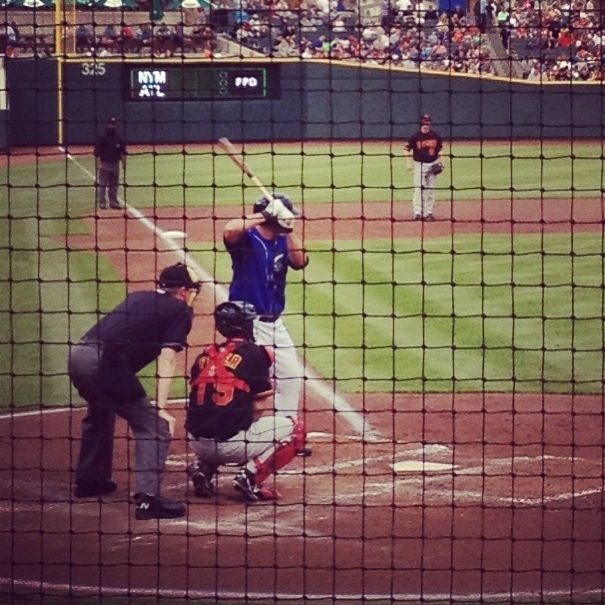 Shawn and I recently went to a Columbus Clippers game for one of our Date Nights. I’ve been wanting to go to one ever since we moved back to town. The Clippers are the local Minor League team affiliated with the Indians. (Previously, with the loathsome Yankees.) They started to build a new ball park just when we moved away and completed it while we were living in Madison. It’s a beauty, a small intimate park nestled right downtown – a stone’s throw from Nationwide Area where the Columbus Blue Jackets play.